● Customers can enjoy free standard shipping for all orders worth $50 or more. The offer is valid within the continental US only. 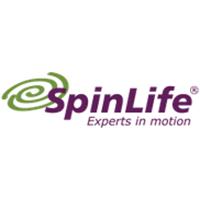 ● SpinLife offers payment options through Medicare and affiliated insurance companies. ● The company offers a Low Price Guarantee and will match other authorized dealers’ prices, plus an additional 10% of the difference. The policy does not apply if Medicare or insurance payment options are used. ● Visit the Special Offers to view ongoing promotions like free wheelchair upgrades, gift packs and other complimentary items with the purchase of featured brands and product lines. ● The Open-Box Specials section offers discounts as high as 50% or more on a few previously returned items. Spinlife is a store that focuses on mobility options like wheel chairs and lift chairs. There are special discount offers and help with filing insurance claims by clicking on the banners that offer discounts and claim help. Shipping is free on orders over $50. Visitors can use the tabs at the top of the homepage to shop by category. Visitors can also order a free catalogue by clicking on the tab at the right hand side of the landing page. This company offers a credit plan through Paypal. There is a toll free customer service line for questions. There is also a live chat feature. For most up to date offers check out SpinLife on Facebook and Twitter or contact SpinLife Support for any questions.